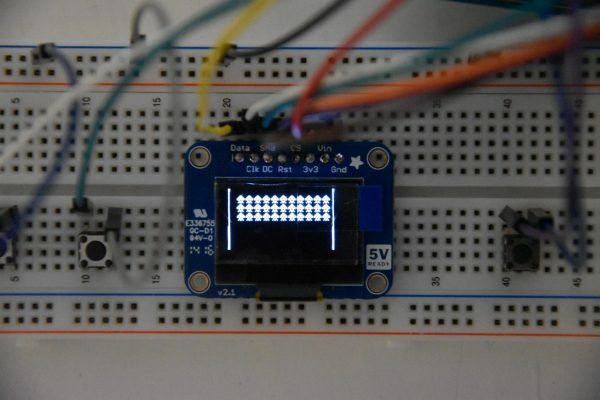 This Arduino Game Dev Log will hopefully also help others get started with similar projects by showing the process instead of only the result. My ultimate goal is to make a handheld game console for retro inspired games. Making this with all the features I have in mind is however a very large project. So instead of working constantly on a single giant project and never really make a finished thing, I have divided the ultimate goal into smaller sub goals. Thus I have a series of Arduino and microcontroller game projects roughly planned out. Each one a little more advanced than the previous. Dividing my ultimate goal into smaller sub goals like this makes me able to actually make a finished project more often while gradually nearing my end goal. Because this is the first of my sub projects, the scope of the project is also somewhat limited. How limited you feel it is might depend on your own current skills however. You might note that there is no mentioning of sound effects on the list. 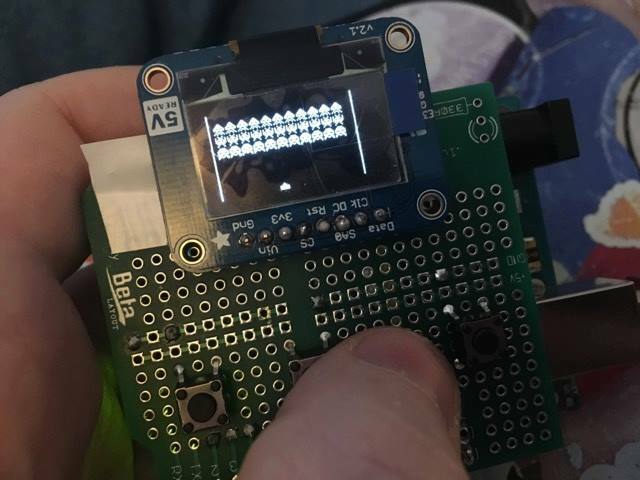 This is one thing I havn’t done on an Arduino before, and as such I feel it doesn’t belong in the first warm-up project. There is also no menu system or highscore included in this project. In the next game dev log I will show the schematics for this simple setup. And in the later log posts I will then mostly talk about the things I’ve implemented, how its done and why I’ve chosen to do it this way.